An antibacterial combination consisting of the semisynthetic antibiotic piperacillin sodium and the beta -lactamase inhibitor tazobactam sodium. As effective and safe as imipenem/ cilastatin (IIPM/CS) in the treatment of moderate to servere aspiration pneumonia. 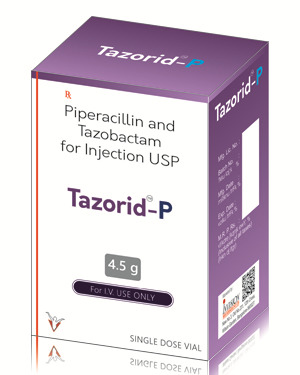 Tazobactam sodium inhibits many beta lactamases,including staphylococcal penicillinase and helps increase piperacillin efficacy.